It's difficult to believe that it's February already, but it is! We have lots going on at Keystone Computer Concepts and I hope you'll take a few minutes to read through this edition of the Question of the Week email. If you live on the Treasure Coast, this part of our email is for you!. The Port Saint Lucie High School Drama Department is presenting Hello, Dolly! this year. In fact, one week of the presentation is already over. All shows are sold out. However, I found 4 tickets for Thursday night, February 5, 2015 at 7:30 p.m. in with the tickets we sold. (Remember, Joyce is the musical director and plays the piano in the orchestra.) I know it's only two day's notice but IF you'd like any of these tickets, please call us at 772-408-4425 and we'll arrange for you to get them. Tickets are $15 each. Any of your friends who have seen the show will tell you it's worth every penny and lots more! We're having two free webinars in February. Please see below for all the info. Our next seminar is February 21, 2015. Find out all about it by reading below! If you live on the Treasure Coast (Jensen Beach, Stuart, Port Saint Lucie, etc. ), you're invited to our live seminar, Saturday, February 21, 2015. For part of the seminar, we'll be covering smart phone basics. Additionally, we'll cover some of the latest news in the computer world. Our seminars are still only $8 per person and we'll have lots of "goodies" to go along with your coffee or juice. Also, we'll have some prizes to give away for those who stay until the end. Our seminar this month is entitled "It's A Sticky Situation." We've announced our webinars for February. Please visit our blog to read about them and sign up. Just click HERE. Question: "I'm thinking of changing my email. Which email service is better? Gmail? Outlook (Hotmail)? Yahoo? Or is there something else I can use?'" As you can see, space isn't really an issue with free email. That being said, the truth is that there aren't a lot of differences between these free email systems. There are features I like in one email product over another and it's really a matter of a person trying the service and seeing if it feels good to the touch - i.e., does it work well with your own computer style? I will tell you one negative thing that all these services have in common - they change their webpages pretty often. Just about the time that you get everything down pat and really know what you're doing online with an email service, they change things around. They will often change the layout of email on their webpages, they hide the CC: and BCC: options, and lots of other changes. It can be a real pain! One other thing about free email: nothing is really free, now is it? 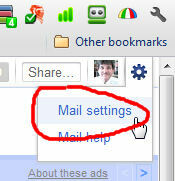 So, that means you'll have to put up with the ads that reside along side or at the top of your email. The "free" service is paid for by sales made through these ads. C'est la vie!